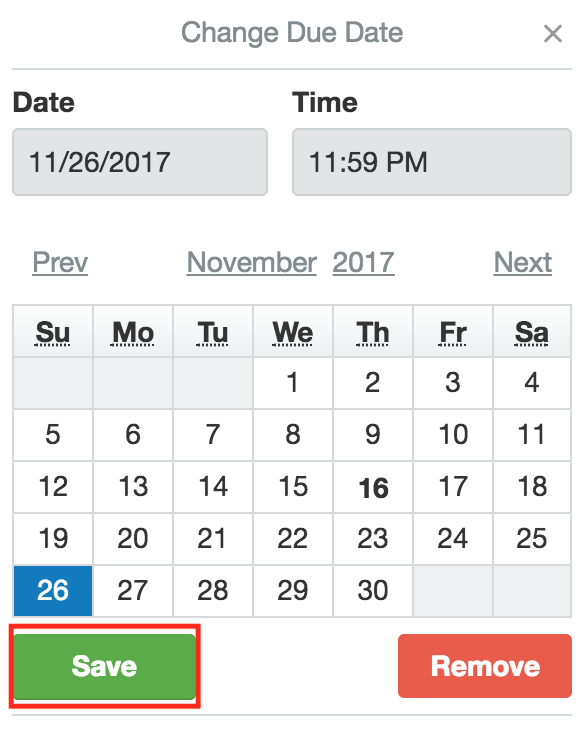 I’ve had a lot of positive feedback from my first post which explained how to create the Trello board to track your Call For Paper (CFP) due dates, submissions, and results. 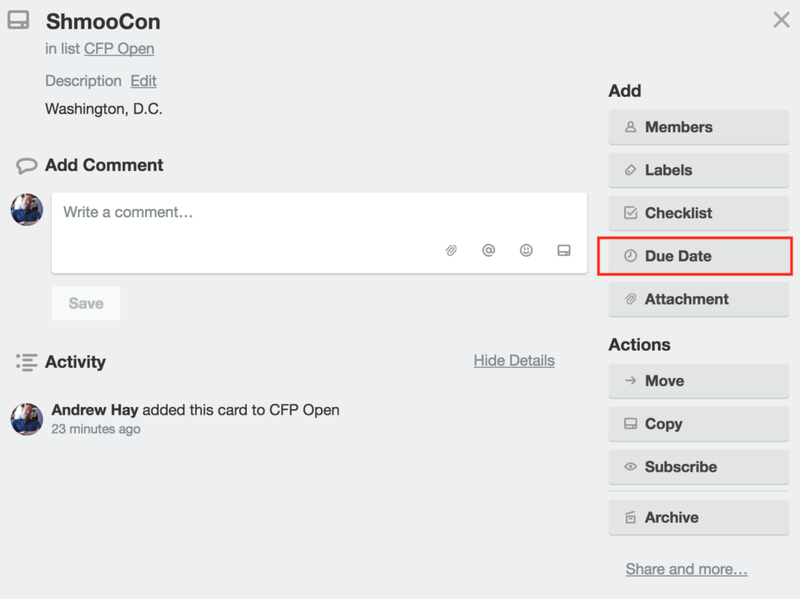 In this post, I’ll explain how to create the cards and populate them with the required data to better manage your CFP pipeline. To start your first card click the ‘Add a card…’ link in the CFP Open swim lane. Type in the name of the conference and select the ‘Add’ button. Once the card is added, click the pencil icon to add more context. 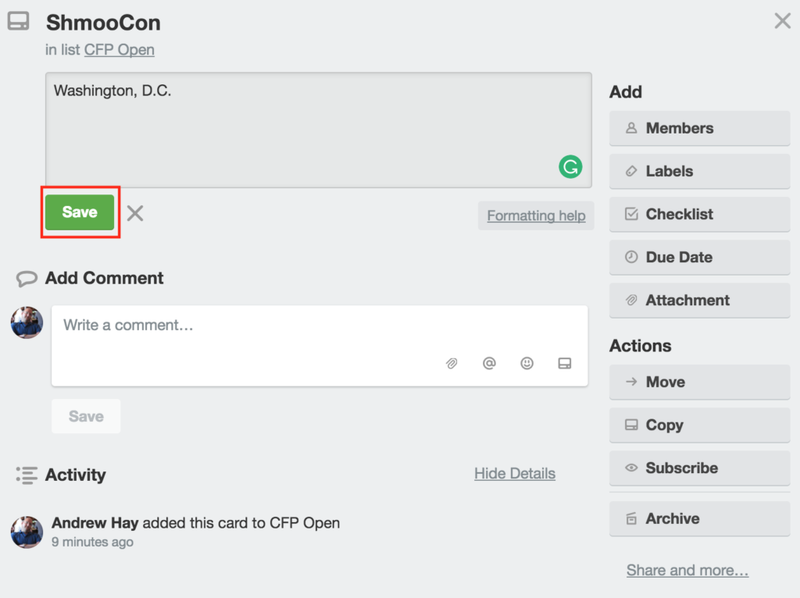 Within the card, place the location of the conference in the ‘Add a more detailed subscription…’ section and select the Save button. Note: I strongly advise that you follow a consistent location naming (e.g. Houston, TX or Houston, TX, USA) to make visualizing the data easier later on. Now we have to add the CFP due date. 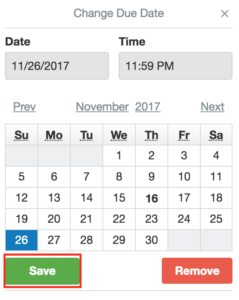 Select the ‘Due Date’ button. When I input the CFP due date, I often use the date prior to the published due date ( I also set the time to 11:59pm) as a way to ensure I don’t leave the submission to the absolute last minute. After the date is selected I fill the card with more CFP-specific information that I find from the event website, Twitter, or a third-party CFP site. I also pate the URL for the CFP submission form into the card so that I don’t have to hunt for it later (it automatically saves it as an attachment). 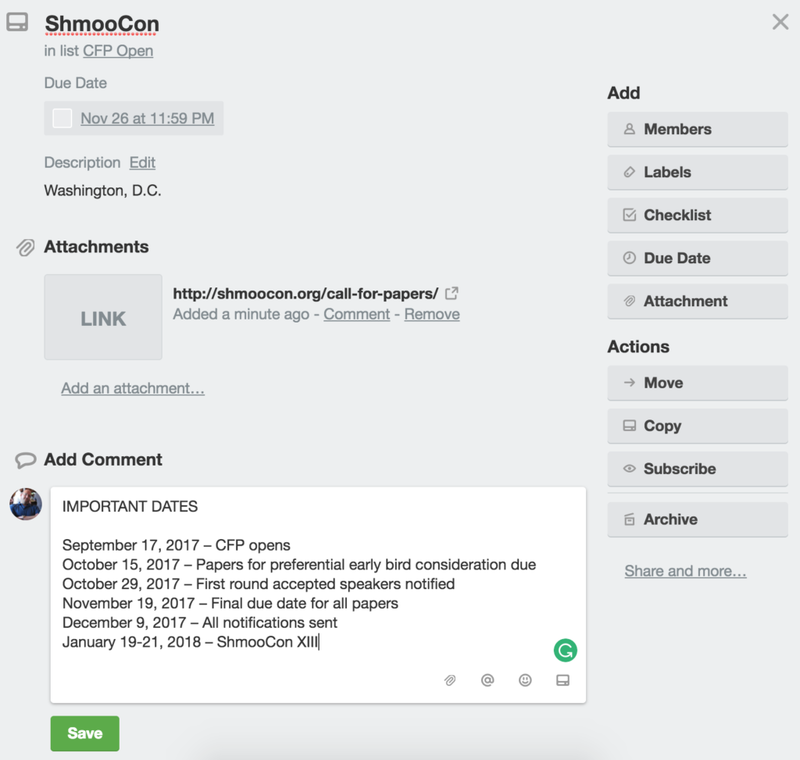 If other information, such as important dates, conference details, or comments about the event are available I often add those in the ‘Add Comment’ section. Just make sure to his the ‘Save’ button or the data won’t be added to the card. Optionally, you can leverage the ‘Labels’ button to assign color coded tags to denote different things. For example, I’ve used these to denote the audience type, the continent, country, state/province where the event is located, and whether or not travel and expenses (T&E) are covered. These are really just informational to help you prioritize events. Click the ‘X’ at the top right hand side of the card or click somewhere else on the board to close the card. 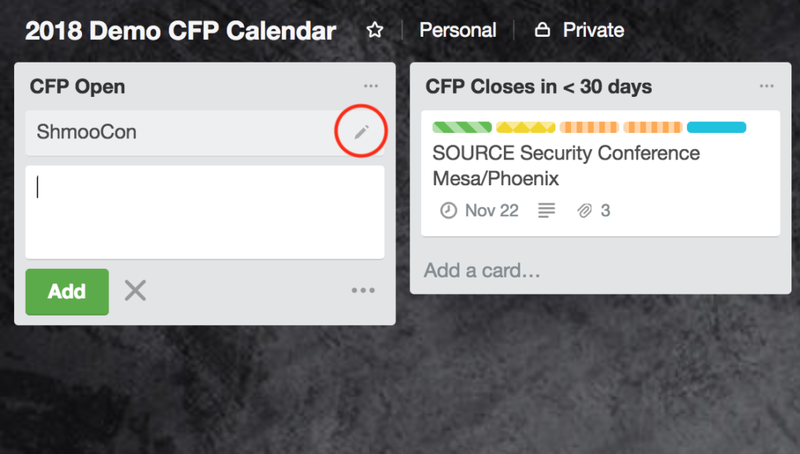 You now have your first conference CFP card that can be moved through the board calendar pipeline – something that I’ll discuss in my next blog post.